Clear Star mylar curing squares. 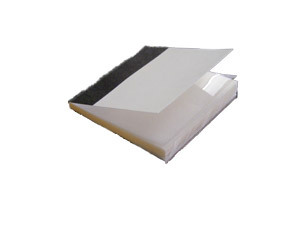 Handy 25 sheet pad. Found under Windshield Repair in the Western Glass Supply catalog.